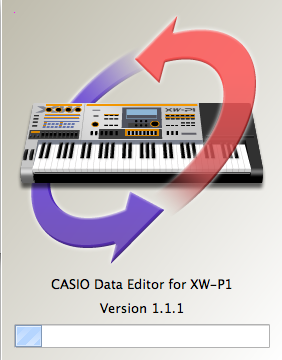 Casio released updates today for the XW’s Data Editors for both Mac and Windows platforms. This update fixes some issues with Windows 8 compatibility and improves performances on OSX. This entry was posted on April 2, 2013 by MikeMartin. It was filed under Downloads, Downloads, XW Synths, XW-G1, XW-P1 and was tagged with Casio, editor, OSX, software, synthesizer, Window 8, XW-G1, XW-P1. From the studio’s the under ground sound studio like my Casio Privia 88 key board.The PX-350M.great sounds use it for all my recording’s Thank you guy’s at Casio.